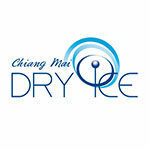 รายละเอียดเว็บไซต์: We are a manufacturer and exporter of fine furniture, wardrobes, kitchens, lightings, flooring & interiors. Our customers include homeowners, property developers, hotels, spas, importers, architects, interior designers & private customers worldwide. Besides our local Thailand market, our export markets include the USA, Canada, Japan, UK, SE Asia, Australia, Polynesia, Middle East, Maldives, India, Hong Kong and the EU. รายละเอียดเว็บไซต์: We manufacture architectural timber structures, decking & flooring, supply lumber by the truck, exported by the container for both residential and commercial projects. 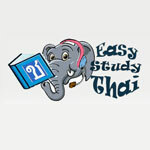 Our markets include : USA, Canada, UK, SE Asia,Maldives, Middle East, India & the EU. 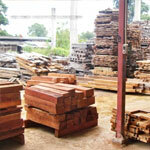 OUR LUMBER LIST INCLUDES : Teak, Pinkyado, Balau, Padauk, Pine, Oak, Chengal, Keruing, Ash, Makkha, Krathin, Sadao, Albizia Saman, Tamarind, etc. 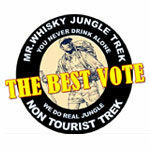 รายละเอียดเว็บไซต์: Mr.Whisky Jungle Trek in Chiang Mai Travel Since 1994 : The Best Vote.